Work force at all levels has to perform. Rewards are given accordingly. Same is the social structure. We reward the children on doing well in studies and sports within the family. Same has to be now implemented in our relations with countries across the globe and most importantly Pakistan and US. All possible options are tried, experimented and exhausted. Dialogue and track two diplomacy over. It can’t be one way traffic after all. Yes collateral damage would be there. It can’t be ruled out. Time we act. Nation expected some fire work in Mann ki Baat today. PM has given indication and we respect it. Will wait. We voted him to power. He knows the mood of the Nation and hopefully he will deliver. Much has been written about Indus Water Treaty by a lot of learned people in the last ten days. Main stream media has a clear divide and some are vocal and have gone to the extent of deciding that since a handful of invited guests in the studio have decided that the treaty should not be scrapped the discussion should go no further. Appraisal system has worked well in corporate sector for enhancing the performance of the individuals and the company. If at all they don’t improve their assignment is terminated with due procedure. Same has to be done with Pakistan and US. Pakistan has enjoyed the benefits of Indus Water Treaty and if they don’t cooperate we need to go ahead with scrapping it. 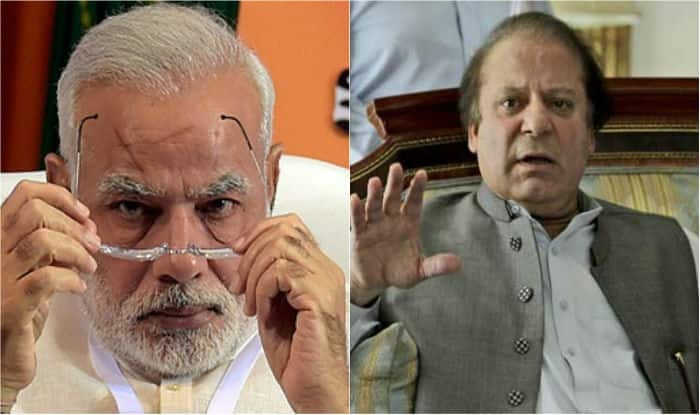 Shri Modi direct connect with people of Pakistan is a good move. ISI and their military may be dictating terms but imagine if their citizens hit the roads in protest, their could be a situation of some significant changes in they way the deal with India. Same has to be done with US. They want India to engage with Pakistan by way of a dialogue. Why? Why didn’t they do the same with IRAQ? Instead they ran a global PR campaign for Weapon of Mass Destruction. We have to tell US sermons time is over. Now time for sanctions against Pakistan. The hard work Shri Modi has done running around the globe has to be put to use to dictate terms now. Nation awaits and will support him barring few NEWS TRADERS and anti nationals. As always I will allow some screen shots to do the talking. Send all Pakistan sympathiser to the place they love. Freedom of Speech has its limit and can’t be used to create Pro Pakistan opinion from our soil. Send all separatist to Pakistan. They can’t be allowed to use our soil to talk against us. None from Pakistan “Malala to Musharraf” should be allowed to visit India or talk on News Debate. On sidelines effort to free Baluchistsan, etc can continue. Military action against Pakistan is one important topic for the citizens, apart from development, jobs, inflation. Obviously Shri Modi will take final call but he can’t control what people think and talk. Add to it narrative by political parties who keep creating narrative against him with their NEWS TRADERS friends. Trust this is one of the biggest hurdle he has to clear. Keeping fingers crossed.